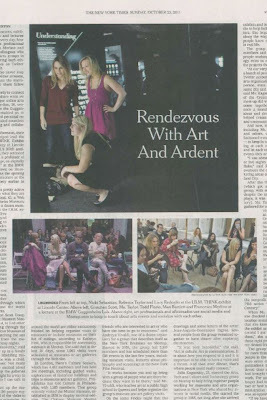 I was in the New York Times "Fine Arts & Exhibitions" section yesterday! Several of my wonderful friends who work at various cultural institutions and I were featured in Jennifer Preston's article about social networking among young arts professionals. #ArtsTech, the reason that most of us went from Twitter acquaintances to a tight-knit group of like-minded colleagues and bona fide friends was founded by Julia Kaganskiy, who currently holds the position of Global Editor at The Creators Project, a global network dedicated to the celebration of creativity, culture and technology. Indeed, I owe some of my closest New York friendships to #ArtsTech and I am proud to be part of a group of such creative, interesting, intelligent people! You can follow some of us on this Twitter list; and if you want to engage in the conversation, just use the hashtag #ArtsTech! Because I have been on vacation, I haven't had time to write content/captions for this post — so I came up with a solution: Can you name the artists shown in the slideshow below? Leave a comment listing the artists in order and you will have the satisfaction of being right. Go! Because I have been on vacation, I haven't had time to write content/captions for this post (and a couple more upcoming ones) — so I came up with a solution: Can you name the artists shown in the slideshow below? Leave a comment listing the artists in order (obviously, photos of scenery and my grandma don't count), and you will have the satisfaction of being right. Go! 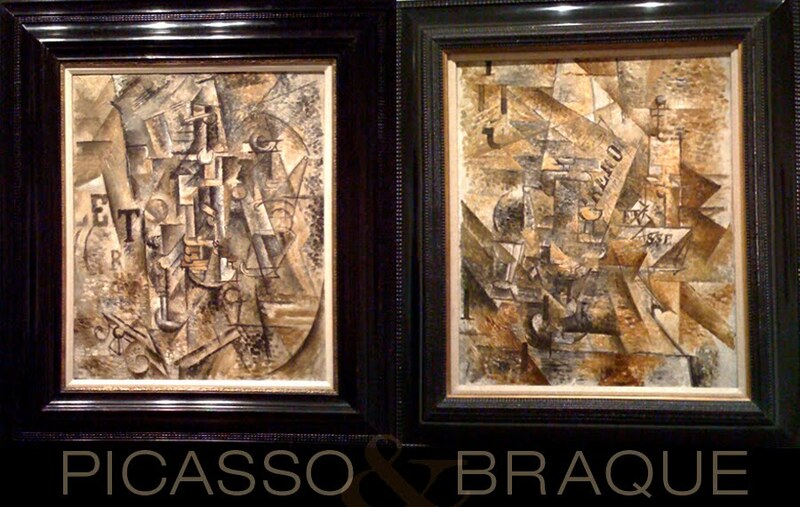 Hanging side-by-side on the first floor of the Modern Art Wing are Pablo Picasso's Still Life with a Bottle of Rum and Georges Braque's Still Life with Banderillas. Yesterday, my friends Vince and Jimmy accompanied me to the Met. It's always fun to share with my friends all the things I've learned over the last year. I feel like I'm showing them around my home for the first time — don't I wish I lived in a million square-foot mansion with priceless treasures! 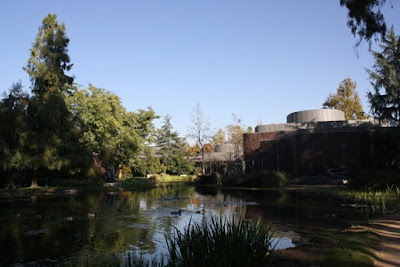 Since I've done several informal tours with friends and family, I've begun to highlight a lot of the same things each time. However, this time I broke away from predictability and steered Vince and Jimmy through spaces they hadn't seen before — and we didn't even go to Egypt at all! We started in European paintings, first with the American Stories exhibit (I'll have more on that soon), then to Medieval and Renaissance paintings, and, of course, the Rembrandts. Next, I took them down to see the Lehman Collection, through European Decorative Arts and Petrie Court. Then we made the ascent to the roof, which sadly closes next week while I'm out of town for the holiday. I'll miss my favorite place in New York, but I'm already looking forward to the next installation. My experience of the roof changed between last year's Jeff Koons exhibition and Roxy Paine's Maelstrom this year, so I'm anticipating another exciting piece. We finished up in Modern Art and strolled through Oceanic and Greek and Roman Art on our way out. It was another successful visit — I humbly enjoy impressing my friends. Tucked away in the northwest galleries on the second floor, Japanese Mandalas: Emanations and Avatars seems simultaneously underemphasized yet perfectly constructed for its subject matter. Though I have a deep appreciation for all of the treasures housed by the Met, my personal taste generally steers me toward more modern, vibrant, expressive pieces. However, I was moved today by the peace of the Japanese galleries and the most extraordinary pieces I have ever seen hanging in them. 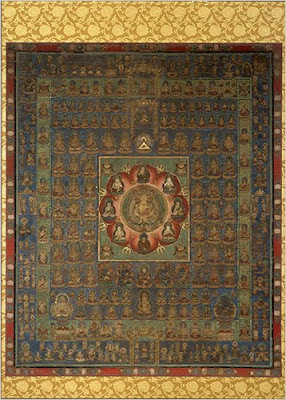 Mandalas are not only beautiful, meticulously painted works of art, but also meditative tools. Looking at the incredible detail of each mandala, it was easy even for me to relax and begin to consider every little shape and line. I can only imagine what it would be like to be spiritually invested. The highlights of this exhibition are the Mandalas of Both Worlds: Womb World and Diamond World, of which several examples are displayed. 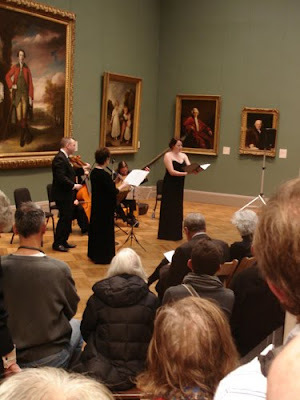 Stopped by this concert in the European Paintings galleries today. I love how the music just wafts through the halls as I approach, surrounded by masterpieces. 1. The Roof: I know this is kind of unfair, since it is only open from May-October (and weather permitting, at that), but I LOVE the roof at the Met. It is my favorite place in the city. 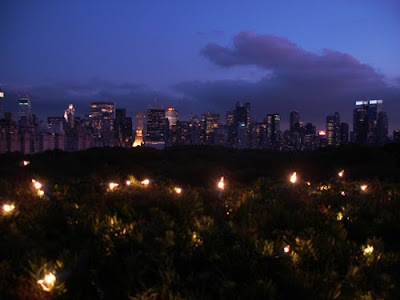 One of the highlights of my year at the Met was the Young Members Party, where we looked out over the park from the roof at night, and drank cocktails in Petrie Court. 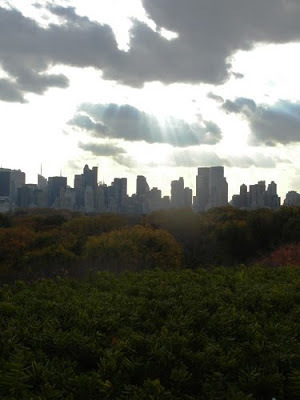 I love to go at sunset or just after nightfall — the lights of the skyline are so beautiful. 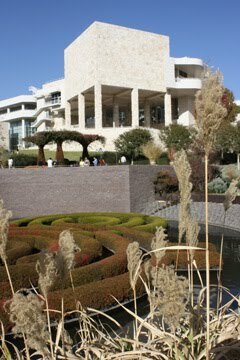 And best of all, it's been extended this year, so it is open until November 29 — GET THERE, you won't regret it. 2. Egyptian Art: Obviously, the Temple of Dendur tops this list. It is the most impressive part of the museum (next to the roof, in my opinion). The Sackler Wing that houses the temple is a beautiful space bathed in sunlight with Central Park as its backdrop. Besides the Temple of Dendur, my personal favorite part of the Egyptian Wing is Tomb of Meketre, where archaeologists found dozens of little models of boats and everyday activities dating back to 2009 b.c. 3. Modern Art: For me two artists stand out above all the rest in Modern Art. 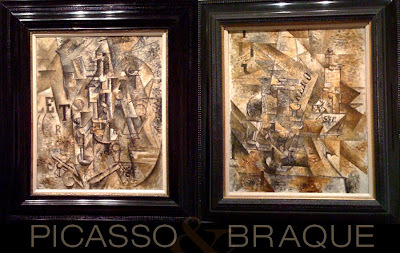 The both have two major pieces displayed in close proximity to each other, and they have actually worked together as well. The first is Chuck Close; I remember learning about his work back in high school, when we were given the challenge of painting a portrait using a grid format. His painting, Mark, in the mezzanine gallery simply blows my mind (it faces Lucas, provides a juxtaposition with a more expressive style). The other is Stephen Hannock, whose Oxbow and Kaaterskill Falls paintings hang right in the southwest corner in front of the stairwell on the first floor. After posting about these pieces, Hannock himself actually contacted me and I was able to meet him at a book signing! It was so exciting for me to meet such an impressive living artist. 4. 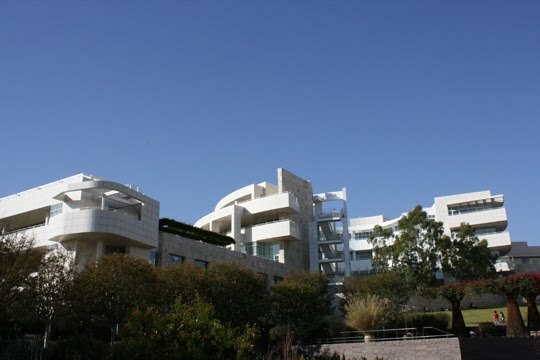 19th-20th Century Painting and Sculpture: I love Impressionists, so I frequent these galleries to look at the museum's huge collection of Van Gogh, Degas, Monet, Renoir, and more. In the sculptures department, my favorite is Ugolino and His Sons by Jean-Baptiste Carpeaux, which can be found in Petrie Court (and a bronze version resides in the Musée D'Orsay in Paris). 5. 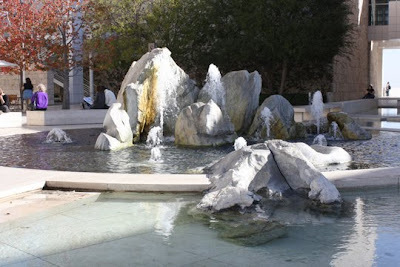 Asian Art: Astor Court Chinese Garden is a tranquil, beautiful place to sit and think. 6. African and Oceanic Arts: I like to call African Art the Dr. Seuss Wing, well, because so many of the sculptures look like Dr. Seuss characters. The Oceanic Wing is so fascinating to me, particularly because the a lot of the pieces are from the 20th century, even though they look completely primitive. 7. European Painting: Anything by Rembrandt, especially Man in Oriental Costume and Aristotle with a Bust of Homer, and of course, Vermeer's: Young Woman with a Water Pitcher. 8. Greek and Roman Wing: Ionic capital and shaft of a column from The Temple of Artemis at Sardis, Bronze Chariot Inlaid with Ivory. 9. European Decorative Arts: All of the period rooms are beautiful, period. 10. American Wing: The Palace and Gardens at Versailles by John Vanderlyn, The Roccoco Revival Room by John Henry Belter,, Vanderbilt's Herder Brothers' Library Table, and the Living room from the Little House, Wayzata, Minnesota, by Frank Lloyd Wright. 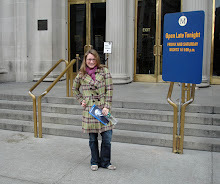 Read my very first post about a visit with my friend Megan here.